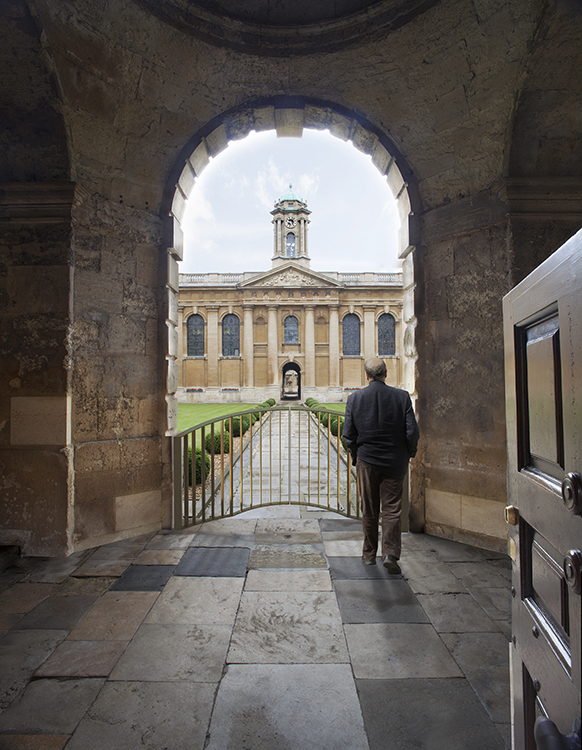 The Quadrangle at Queen’s College, Oxford, is one of the finest neo-classical compositions in England, protected by Grade I listing. The brief for the new porters’ lodge called for space for exhibition, waiting, storage of letters, and for the porters themselves. Given the space limitations, this was difficult to squeeze in the existing loggia without significantly impacting the listed setting. Our solution sensitively remodelled the this space on the principle that less is more. 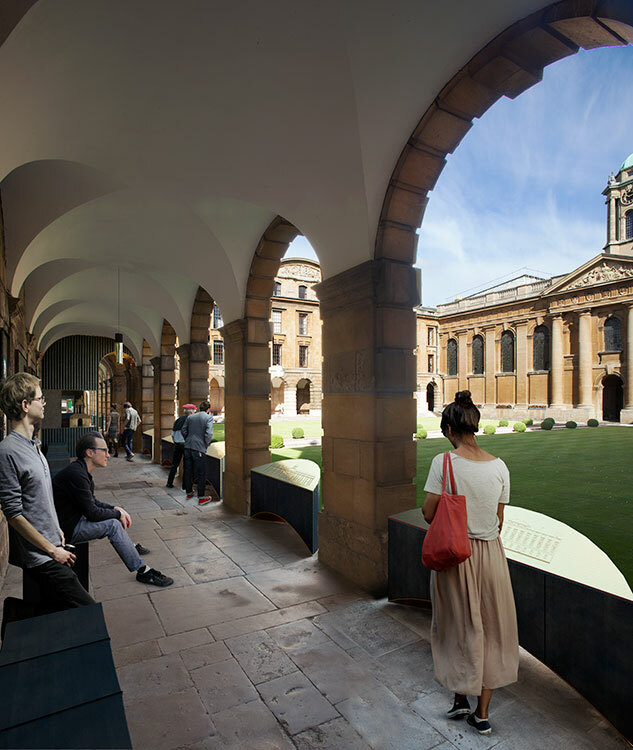 It envisioned beautifully crafted inserts behind Hawksmoor’s screen, providing views of the quad beyond. 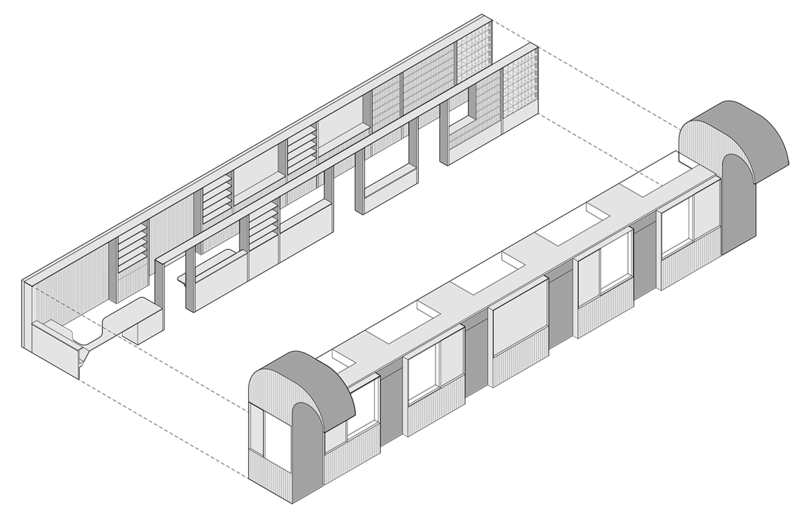 These interventions would alter the circulation route and preserve the feel and character of the historic setting. Further ‘tidying up’ through newly designed black oak and bronze bins, lamps, signs and barriers brought the whole composition together. 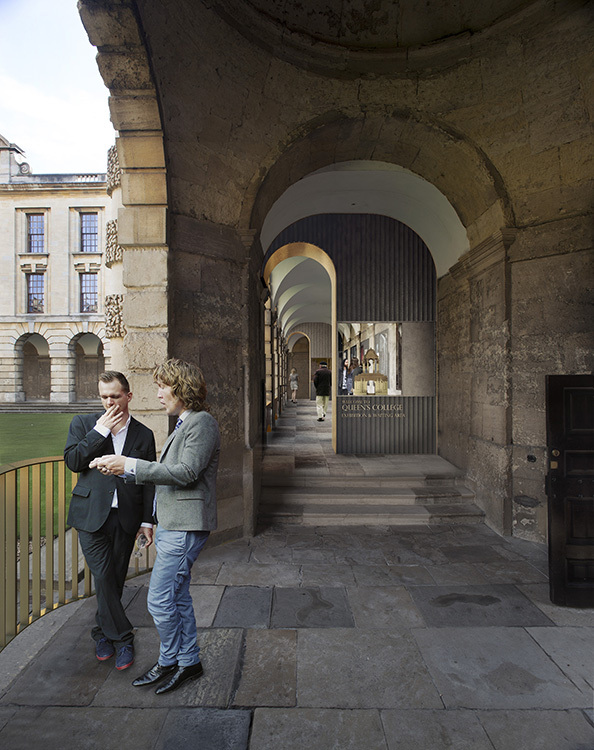 Our proposal clarifies and enhances the existing entrance sequence to provide a welcoming, more accessible entrance to the college, commensurate with its status as the grandest classical composition in Oxford. 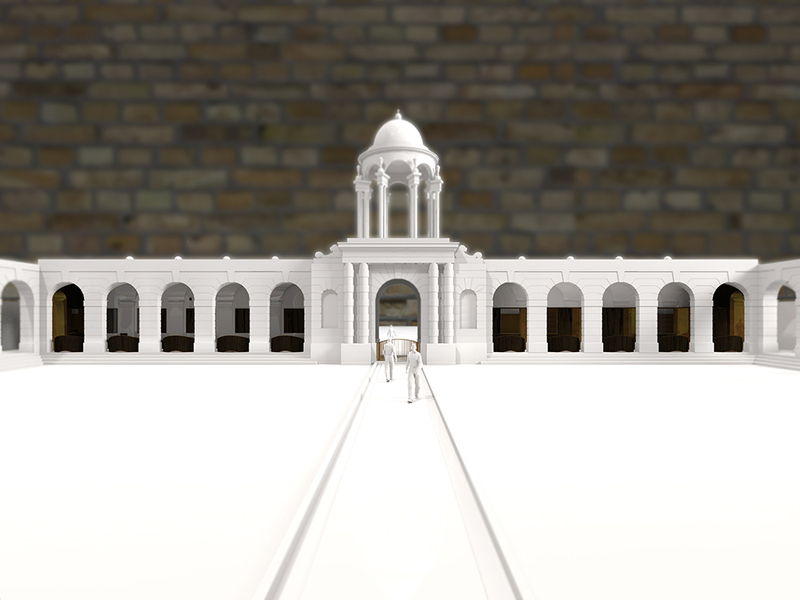 Rather than disrupt the symmetry of the front quad with a new building, we have clarified the layer of non-original accretions in the colonnade with a series of beautifully crafted insets placed in the south range behind Hawksmoor’s magnificent screen. The loggia of this Grade I listed building has remained unaltered since its completion in the mid 18th century, apart from a layer of accretions such as notice boards, benches and bins added over time, and the porters’ lodge itself. 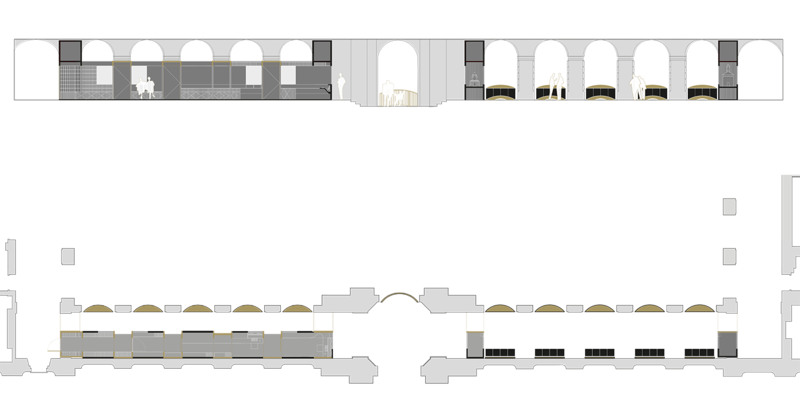 It is this layer that we proposed to replace with a fresh treatment of furniture and objects to allow the required programmes to be accommodated within the space of the front loggia. 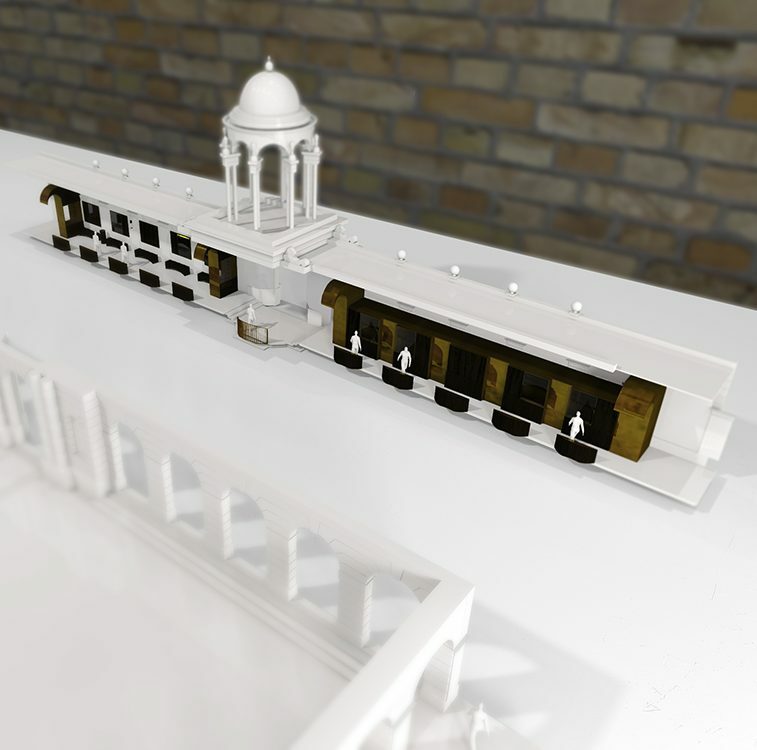 The proposed elements are free standing, with minimal integration with the existing buildings to preserve the historic fabric.